In London, The Games Are Afoot : The Two-Way The opening ceremony, with — we hear — a song from Sir Paul McCartney, farm animals and "helmeted cyclists wearing giant silvery-blue flapping wings" — is to start around 3 p.m. ET. In the U.S., NBC will air a tape of the ceremony at 7:30 p.m. ET. The London Summer Olympics officially begin today. The opening ceremony, with — we hear — a song from Sir Paul McCartney, some farm animals and "helmeted cyclists wearing giant silvery-blue flapping wings, pedaling around in two huge circles" — is to start just after 4 p.m. ET. 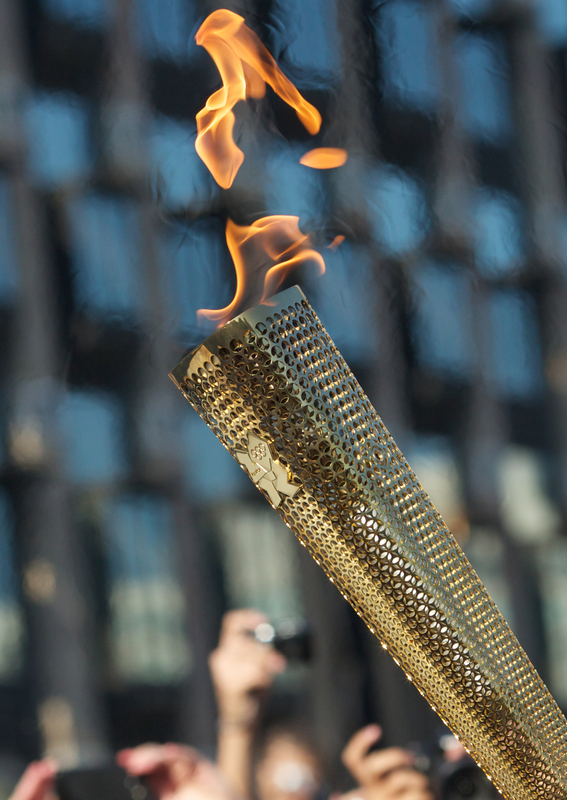 The Olympic Flame as it passed through London on Thursday. Now, The Two-Way's not going to follow the Games minute-by-minute. For those of us in the U.S., NBC Sports has that kind of coverage. It's broadcasting tape of the opening ceremony at 7:30 p.m. ET. The network also offers ways to watch the events online. It's using its variety of cable channels to air events as the Games continue through Aug. 12. We will, of course, jump on any "hard news" from London. For the best of NPR's coverage and more, check out The Torch blog that's being hosted by our colleague Bill Chappell. And for a preview of what to watch for, there was a conversation on Morning Edition with NPR's Howard Berkes and Mike Pesca.